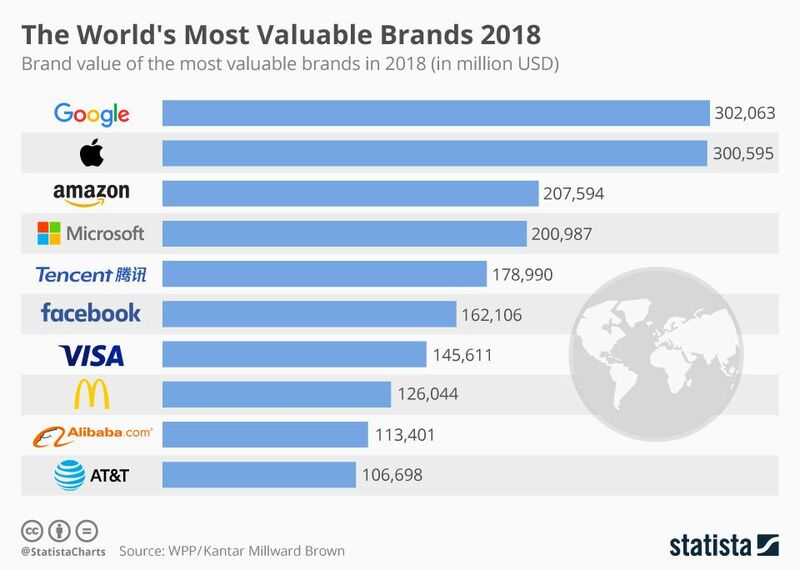 According to the newly released “Top 100 Most Valuable Global Brands 2018”, the company which boasts the largest value backing up its brand is currently Google, with an estimated $302,063 million. Very close behind is Apple, with a value of $300,595 million. Tech dominates the top ten, in fact, as do U.S. brands. The two geographical exceptions though are the two giants from China - Tencent and Alibaba.